Original Acrylic Paintings, Murals & Custom Artwork. 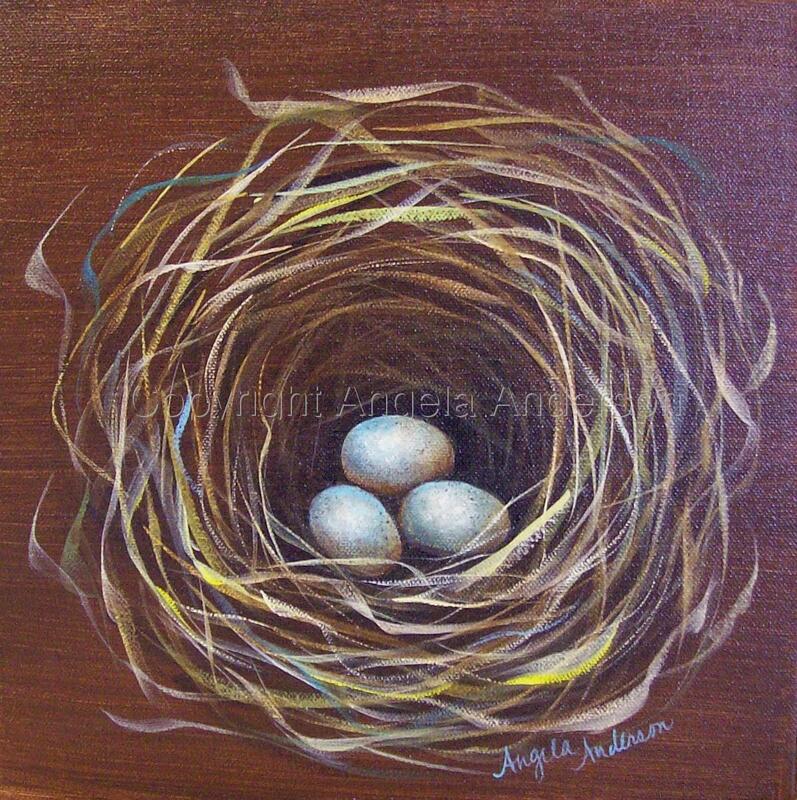 Dark brown nest with light blue eggs. Painted on deep gallery-wrapped canvas. Being sold by Cox Gallery, Little Rock.